When I was visiting my dad last Friday, I was entranced by the hummingbird feeder and how popular it is. I'd love to buy one for myself but gee, I really don't want bears to visit as well. When we first moved into this house, we had our grill stored outside in the fenced in area and the bear discovered it. Let's just say the damage he did to the fence and property was quite extensive. And he walked on our pool cover!! Yikes! Summer days surround me and I've been enjoying the season. As much as I am a winter lover, the colors, sights and sounds of summer are beautiful. Lately I've been identifying trees that are native to the area-sorting out the different leaves in my mind. Black walnut and tulip trees, maples and sycamores, I walk and rattle off the names. I learned many of them as a child while walking with my dad in the woods. My knitting slows down considerably this time of year. Longer days give way to more outside activities. 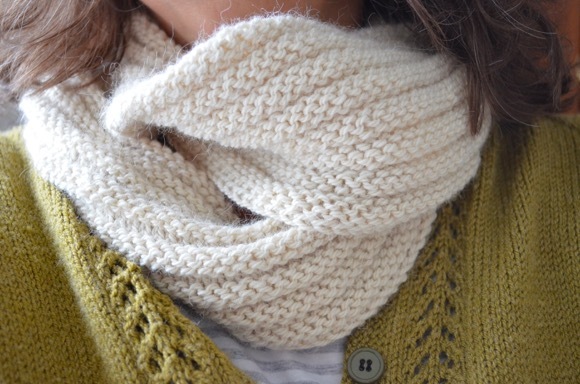 However, I continue to think about knitting, I have projects in my mind that I would love to cast on. 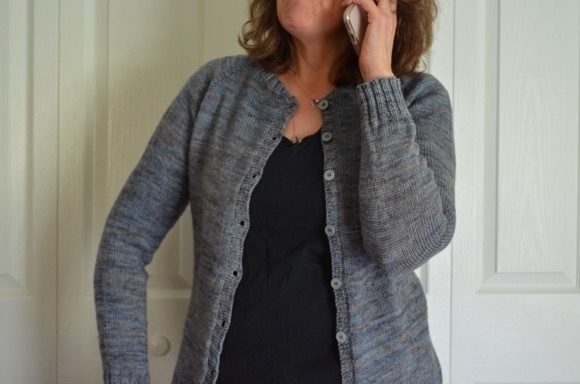 Another featherweight cardigan in a neutral shade that goes with my wardrobe. Hopping back onto my sock knitting ritual, replenishing my sock drawer with bright rainbow colors. Lots of sock knitting going on here - I'm trying to send my sister back home with several pairs in her suitcase. :-) Not that I'm trying to send her home though, she could stay here with me for a looooong time if it was up to me. I hadn't thought about hummingbird feeders attracting bears, but I guess the sweet smell probably would. They seem to go after anything that smells remotely of food. We once had one rip a bird feeder (the seed kind, not a hummingbird feeder) off the window on our back deck. I have slowed down considerably this summer with craft projects and am enjoying the garden and slow, lazy strolls. Bears? Yikes! I long for the short days of winter. These long days mean a lot of work for the farmer. I cast on a simple shawl for my grandmother last night. She will be 90 in September. It's going well and moving along quick. Hope you have a blessed weekend! LOVE your photos!!! Happy Fourth! I enjoy spotting hummingbirds, so delicate and colorful. Thank goodness our biggest worry is the cats, no bears. Enjoy the holiday weekend. Beautiful pictures. I love that gorgeous butterfly. Funny, I do more knitting in summer. I guess because I have all those lazy days to fill. Those are gorgeous pictures! I have been trying to learn how to identify trees, because I find it tons of fun. My favorite to identify is the American Beech--I figured that out from Winnie the Pooh, of all things! But Piglet lived in a Beech tree :) Have a lovely weekend, Karen! Enjoy the summer! We just got back, and I'm trying to catch up on blog reading. Love, love, love the promise shawl; it's gorgeous! Happy Fourth! Wow, look at those hummingbirds. We have had quite a few visiting our flowers lately, they amaze me, and I could watch them for hours. Have a wonderful weekend Karen. Happy 4th of July! We have a hummingbird feeder and it is awesome -- but not worth bears visiting! We do have a red fox that has begun dashing through our yard at dusk. Wow...who needs hummers when you live in bear country?!?! I would be nervous too!! !At least you can enjoy them over at your dad's. I love hummingbirds! Thankfully we don't get bears! Yikes! My knitting has slowed too. Although our summer hasn't been too hot or humid yet. (Of course now that I say that it probably will be!) I hope you enjoy the weekend! My knitting has slowed but in a good way, kind of a lazy just knit sort of way. Yay to replenishing your socks drawer with bright rainbow colors. That is always a good thing. I have been watching our hummingbirds for a few days. They are getting pretty bold and don't wait for the deck to be unoccupied before they come to feed. This morning I saw a very tiny hummingbird so I think they had babies. let the lazy summer days come! it has been raining alot in New York so I am happy when the sun comes out. We use to have a hummingbird feeder, but we took it down because when ever we would sit on the porch the hummingbirds would come by and attack us! :) Not a very pleasant experience! wow hummingbirds have always been a fascination to me, i would love to one day experience seeing them first hand. Summer looks way too delicious , looking forward to longer days but first we have to wade our way through winter. Bears also fascinating but from afar and definitely not in my pool! What an interesting bunch of visitors you have.